For those who enjoy the freedom and seclusion of camping but don’t want to stress over details, our well-appointed yurts create an overnight experience that elevates outdoor accommodations to new levels. Spend the night savoring refreshing mountain air beside a crackling fire as private chefs prepare an intimate gourmet meal. At evening’s end, retire to a comfy, warm bed and drift off to the sound of the nearby whispering stream and the quiet of the wilderness. Perfect for families who want to experience the great outdoors in a one-of-a-kind setting. 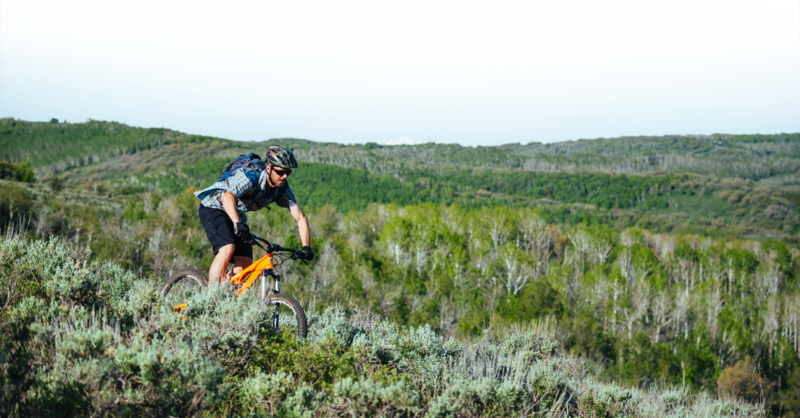 Named for the elk bugling that can be heard in the fall, Bugle Inn and its neighbor Lil’ Bugler are located four miles into the backcountry, deep enough to feel far away but within easy reach by foot, bike or one of our Rangers. Each yurt features cozy beds, furniture and electricity. After a night in our yurts, expect to be greeted in the morning by area wildlife, including moose and elk. If you’d rather wake up to coffee and bacon, a private chef can be reserved to prepare breakfast for you onsite. Let our culinary team prepare a customized meal plan to send with you on your trek into the backcountry. Or tell us when you want the dinner bell to be rung and one of our private chefs will come prepare a campfire meal just for you.